Thanks a lot for giving the opportunity to introduce myself. I grew up in the fantastic country of Cambodia, Kingdom of Wonder whose famous interesting place with the National Archaeological Park of the World Heritage Site of UNESCO. I am fully qualified experienced professional freelance tour guide and have a license from Ministry of Tourism since 2007 and now, a registered tour guide. My name is Ourn Art, I am an enthusiastic, quite easy-going, reliable, responsible person. 10 year-experienced tour guide, I also have great sense of humor with passion on this lovely job. I am quite familiar with and particularly interested in mostly arts, museum, antiques, architecture, history, legendary, science, people, nature, environment, traveling, temples, and cultures. After a successful career in tour guide and I have a true love of travel and travelers. 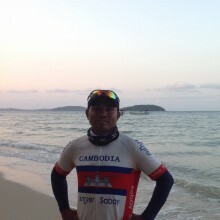 I have confidence; ability, experience and the energy to show visitors from diverse backgrounds around the whole of Cambodia that are customized to suit your wishes. There is so much to see - just tell me what your interests are. 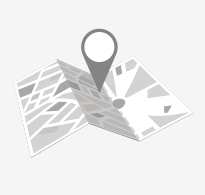 I will plan your routes and itineraries to suit your special needs ensuring that your time with me is always used to the best advantage. I specialize in private sightseeing tours based in Siem Reap and I also offer my services for Round trip Cambodia tour from a few days to a few weeks throughout Cambodia with enthusiasm, enjoyment and considerable knowledge. I am enthusiastic in tourism and love making friends from both domestic and abroad. It is a part of my life and I would be very pleased to share my knowledge with you! I am ready to help you to be better prepared, save valuable time, make your stay in Cambodia more comfortable. I'll take you real deeply into this city's soul. During your stay here, you'll see not only those facial things, but also going deep into Siem Reap's small lanes, ancient and modern art spirits or even going into a real Cambodian family. I can help you to design the specialized itinerary according to your interests for your private trip. I’m always here at your service. I would like to share with you the great and rich culture, fantastic and wonderful ancient historical sites, friendly and happy people, numerous kinds of delicious food, developing and undergoing everyday life. 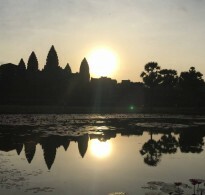 Welcome to Cambodia, one of the finest and most favorite tour destinations of the world.